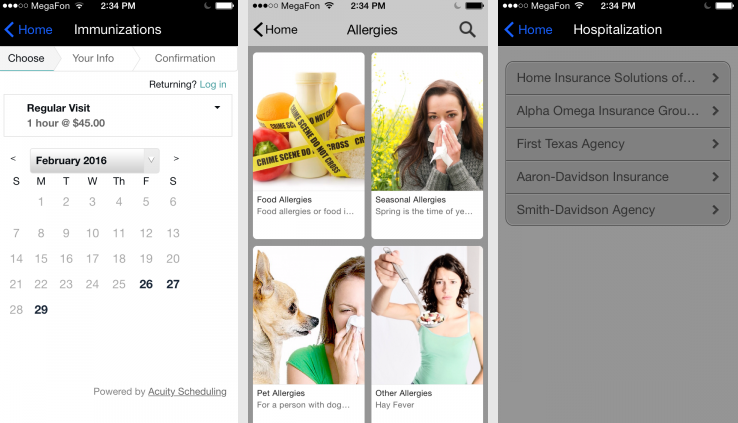 Wouldn’t it be nice if you can book mobile appointments and customer pick up online using Acuity scheduling software plus use free calendar app with login? Imagine a world where you didn’t need a secretary to tell you whenever your next meeting was scheduled. The dream is now a reality, since iBuildApp has a new bookings system for customers to set up appointments with you through their mobile calendar apps. Many small business already use this mobile appointment plus booking feature with Acuity manager schedule. It also allows using free calendar app, and here’s how it works. Employees can view and book meetings that happen inside the office by going through the app. 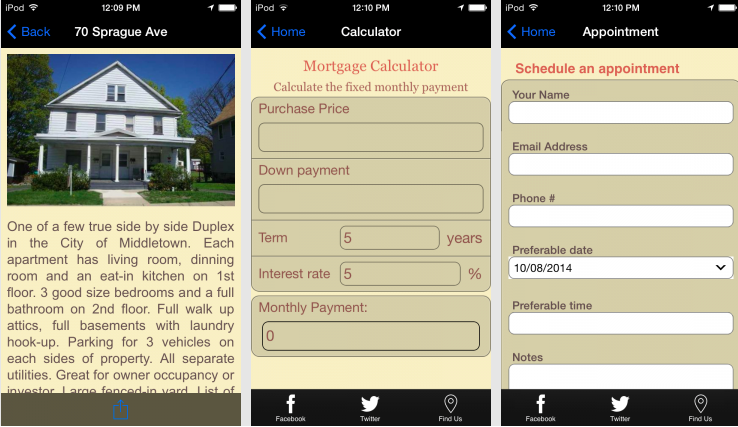 Clients access your schedule planner and availability from the comfort of their phones. You don’t have to worry about customers scheduling meetings that conflict with each other. Payments can be collected for certain calendar events such as available time slots. You can manage a customer list and import client meetings that are not made through the app. The task scheduling calendar app is ideal for doctors, physiatrists, real estate agents, business managers, lawyers, car mechanics, hair dressers and more. Navigate to the Acuity Scheduling website. Go to the Free account so that you don’t initially have to type in your payment information. If you’d like to implement additional features in the future, consider upgrading to one of the paid plans. Create your account online at Acuity with an email address plus password to login. Enter your Login ID and Password. If you did Forgot your password, click Password Forgotten link for assistance After that, you’re all setup to start managing your settings and bookings through the mobile or online account. The Acuity Online Scheduling dashboard is fairly robust plus it has settings for everything from booking types to form questions. You can even configure email settings and sync the calendar with other outlets like Google Calendar online app. You can automate your client bookings, views, cancellations, reminders & even payment with one click by using template calendars. This step depends entirely on how you’d like to run your booking scheduling program. For example, availability, customers, bookings and payments are all customizable in the online settings area. The next step requires you to generate a link that must be transferred over to your iBuildApp mobile calendar app with schedule templates. Click on the Client’s Scheduling tab on the left hand side of the Acuity solution dashboard. This reveals a preset link to your online scheduling page. Clients can book or schedule meetings by going to the link. Feel free to keep the default link given to you, or change it to make it easier to recognize with your brand. Hit the Save button upon completion. Go to the Acuity Scheduling feature in iBuildApp. 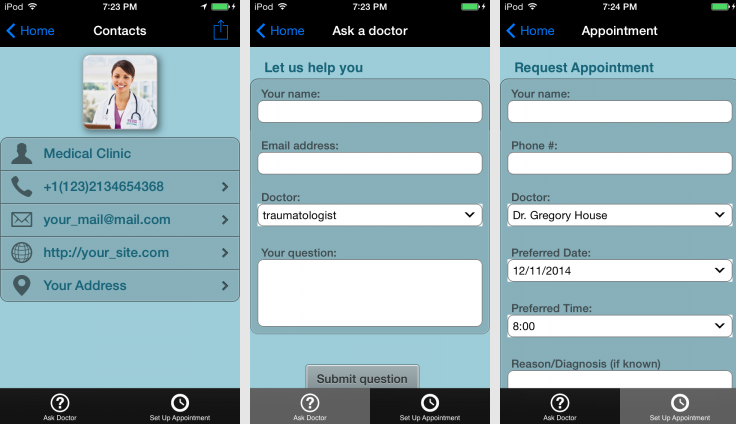 Implement appointment plus scheduling on the mobile app of your choice. This should bring up an Acuity tab towards the top of your mobile app designer page. Copy the scheduling link you previously created in Acuity product, if needed use login contact, and paste it into the iBuildApp field that reads “URL of your Online Scheduling Page.” Click on the Save button. After that your customers will see a tab for meetings/bookings, along with a calendar schedule to quickly check your availability and book customer service appointments plus with you or someone else in your organization. Plus feel free to change the name of your online scheduling tab, and go back to the Acuity system to manage your settings. 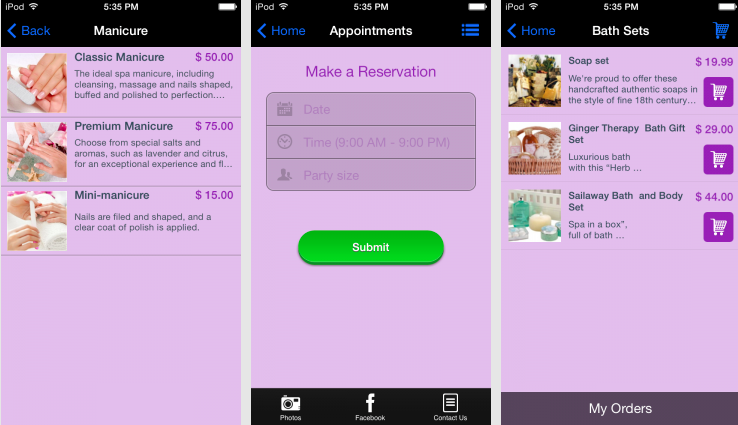 Allow your clients to pay for appointments at the time of booking. It’s simple for them, and ensures the appointment is paid for. iBuildApp integration with free appointment software allows you to capture a client’s credit card data to “hold” a meeting. This helps reduce no-shows, and makes it easy to process payments for late cancellations. If you’d like to get started with mobile meeting scheduling, click on the button below. 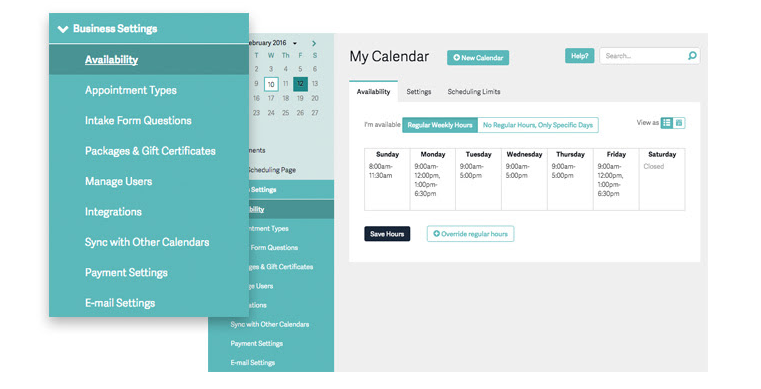 As discussed above, to book a meeting with Acuity online comes in handy if you’re a service-based company with lots of client meetings, time, staff, shifts and work scheduling and employee planning. For example, you may need this if you’re in law, real estate, medicine or even hair cutting. Swap this out with your general reservation tool to streamline the calendar app booking process. Customers can see your real-time availability, self-select the time that works best for them, and easily book and pay their own meetings in advance. This is the most advanced online employee scheduling software. You can automatically assign your schedule planner shifts based on work information time preferences. If you have any problems with setting up a mobile scheduling system and calendar app, let us know in the comments section below. iBuildApp appointments plus calendar scheduling software is used by over 100 Fortune 1000 enterprises and is hosted in a secure and highly safe data center in the cloud. iBuildApp calendar app, created for scheduling and organizing meetings, saves you a lot of time and energy when you’re trying to find a time to bring a number of employees or customers together. 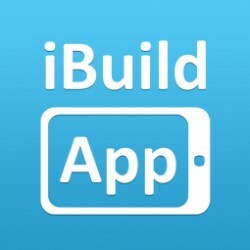 For academic calendars, classes schedules, students, staff and universities: To start just sign in to your iBuildApp account and schedule, reschedule or cancel an exam appointment. - Edit your business name and logo. - Edit instructions for your customers into the “Scheduling Instructions” field. - Set weekly and daily calendar with views and tasks in different time zones. hi there, yes. it does run on android and iPad tablets.